General Data Protection Regulation (GDPR) is here. Any website that contains the personal data of European Union (EU) resident needs to be GDPR complaint and must be able to provide them full control over their user data. Failure to do so may lead to a heavy penalty of 4% of the annual global revenue or € 20 million. Therefore, to avoid the risk of facing such a heavy penalty, it is really important to make your website GDPR compliance. 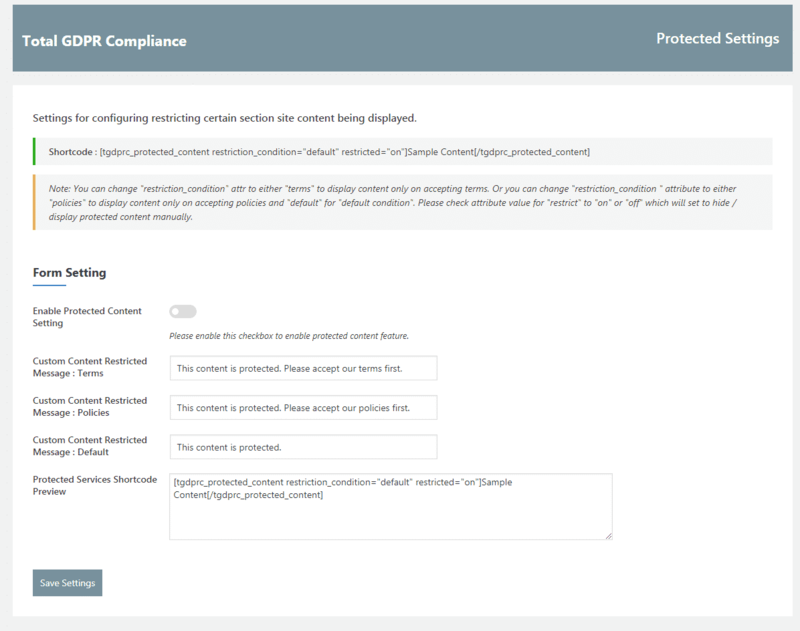 If you are using a WordPress website, there are plenty of options (WordPress GDPR plugins) available for making your website GDPR compliance. However, many of the users are new to the GDPR rules and may have difficulties while using the WordPress GDPR compliance plugins. 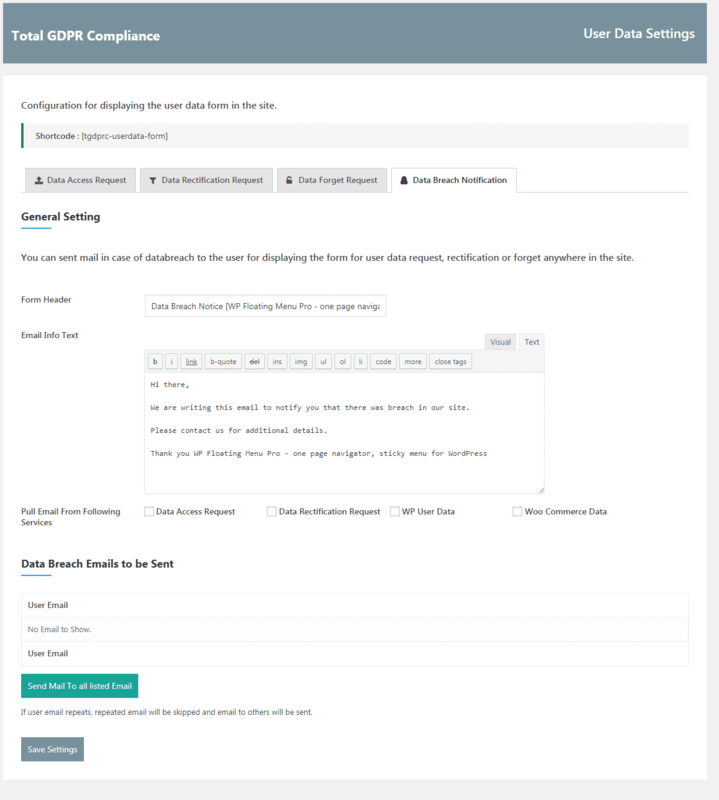 So, to help them with it we have tested one of the trending GDPR Compliance Plugin – Total GDPR compliance and prepared a step by step guide for making your WordPress website compatible with the GDPR law. 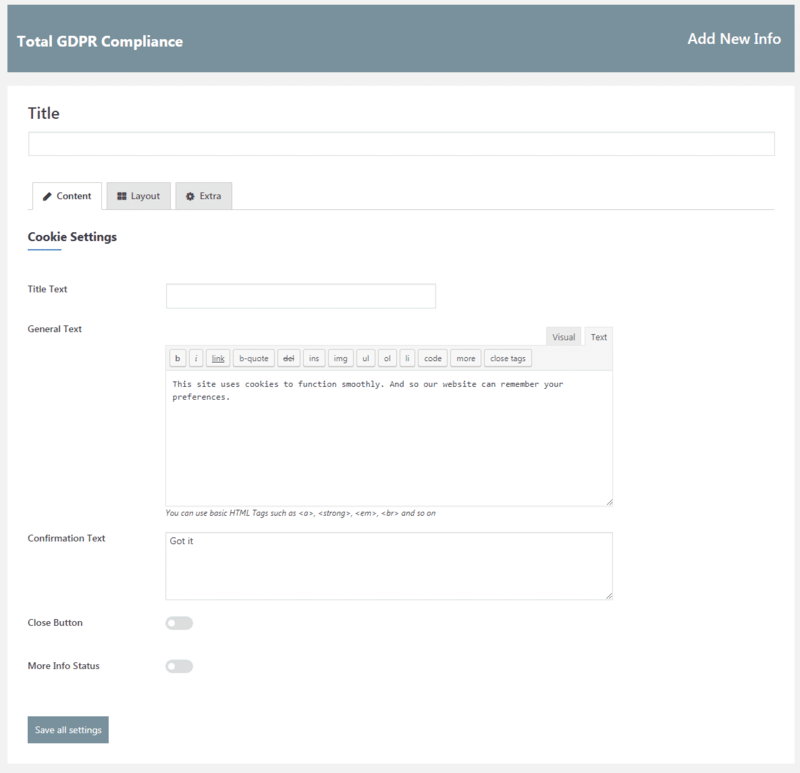 Buy the plugin Total GDPR Compliance from CodeCanyon marketplace at a reasonable price of $18. Then, install and activate it. 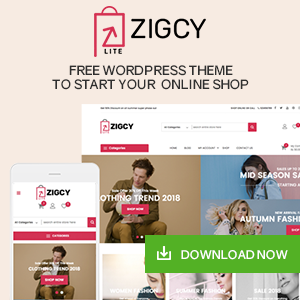 If you are new to WordPress and don’t know how to install the plugin then check out – How to install a new plugin in WordPress website? 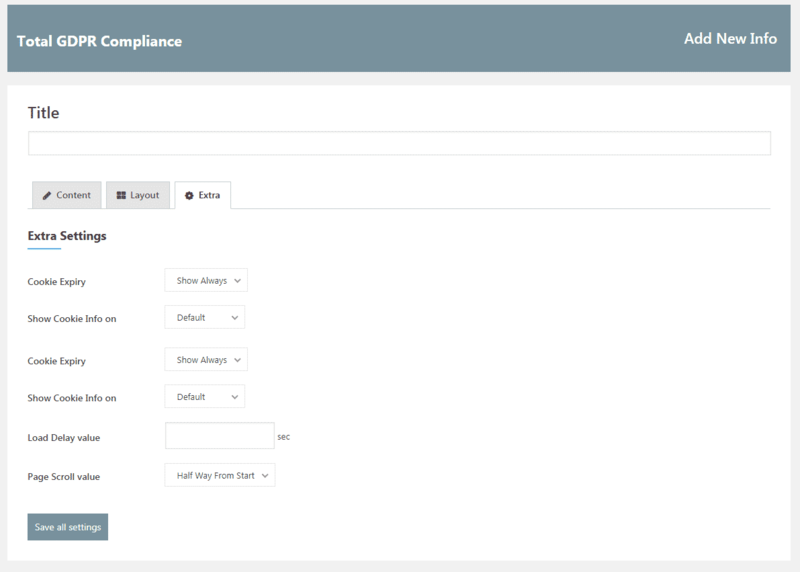 After the plugin is activated, you will see Total GDPR Compliance on the side menu bar on your WordPress backend. Click on it to begin your GDPR compliance working process. The 1st page you will land on after clicking on the Total GDPR Compliance is the about page. 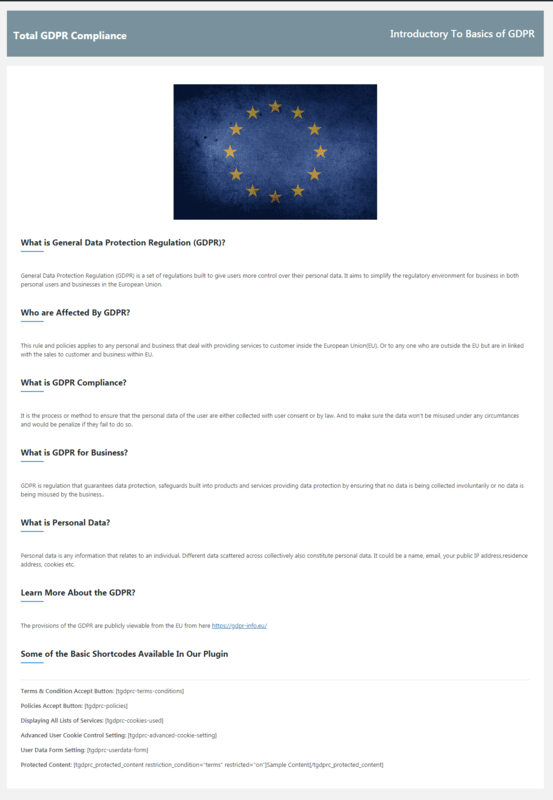 It consists of some of the FAQ related to GDPR. You can read it to make yourself more clear about GDPR compliance. In this section, you can add the templates for the cookie info notification. To add the template just click on Add Cookie Info button. After clicking the button, you will land Add New Info page. 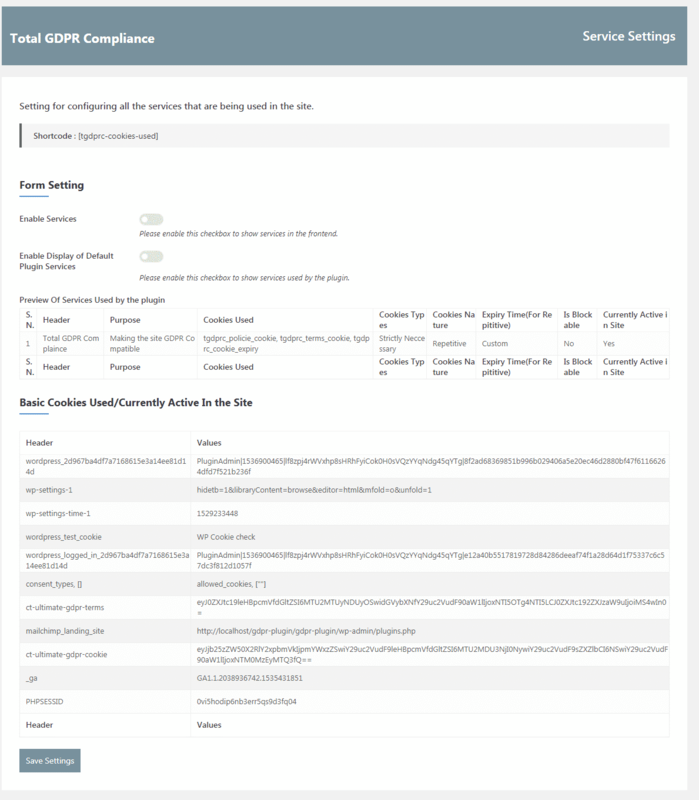 Give the title, title text, general text and configuration for your cookie info. Then, select the layout for your cookie info notification bar. 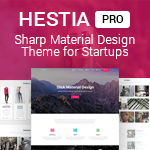 The plugin contains 3 different layouts along with 30 templates. 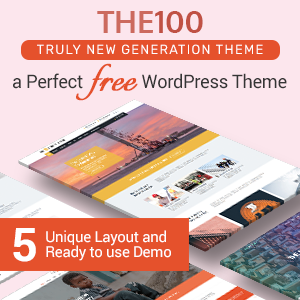 So, choose the most suitable layout and template for your WordPress website. Also, set the most favorable position so that, you can elegantly display your cookie info. After that, configure all the cookie settings on the extra section then, the cookie template is ready for you. 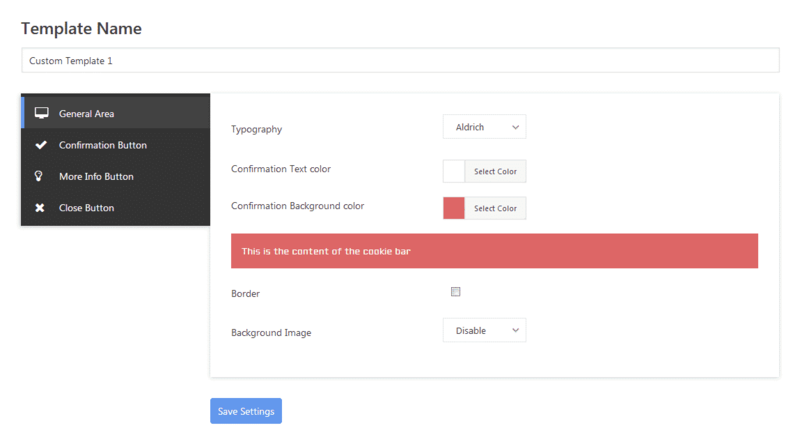 Here, you can create and configure the custom template for your cookie notification bar. To add a new custom template click on Add New Custom Template button. 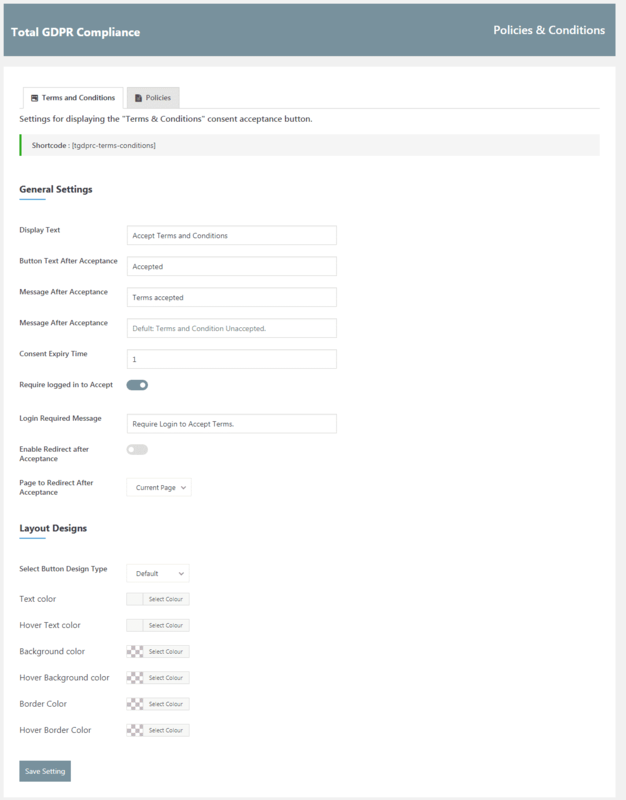 After clicking the button, configure all the available options and save the setting for creating the custom templates for your cookie info notification bar. 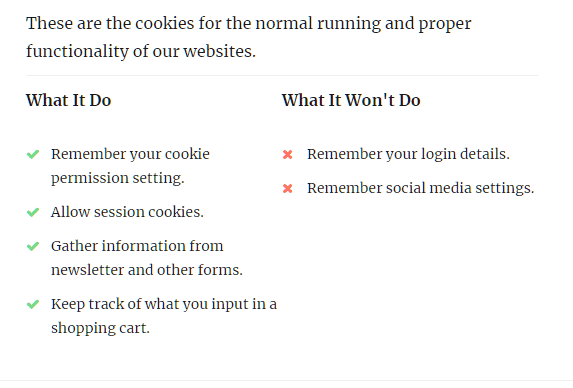 The Cookie Settings page will let you enable/disable the cookie info bar on your WordPress website. Enable/Disable the cookie notice as per your preference. 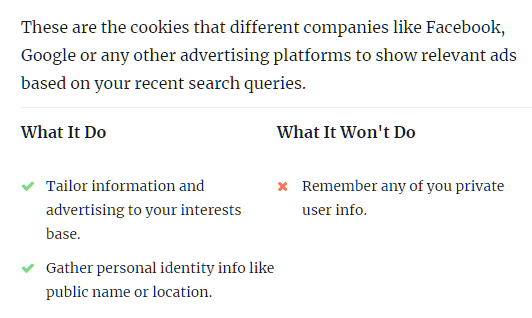 Also, set the page(s) where you want your cookie info notice to be displayed. You can import the cookie info notification from 3 different ways i.e. by using JSON codes, external file or demo. The advanced cookie option will let you add different types of cookie on your WordPress website. 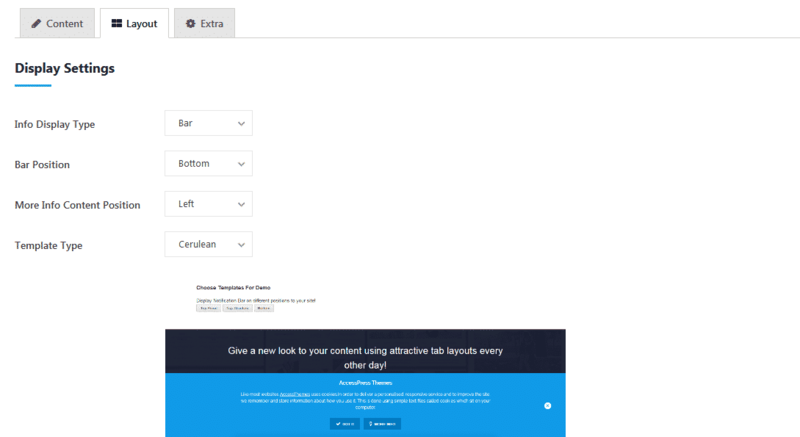 From this section, you can add the policies and terms button on your WordPress website. Do all the necessary configuration and save the settings. Then, copy the given shortcode and paste it anywhere on your WordPress website. The data access request form will allow your audience to send a request for the access of their personal data stored on the website. Configure all the options to create a user-friendly data access request form. 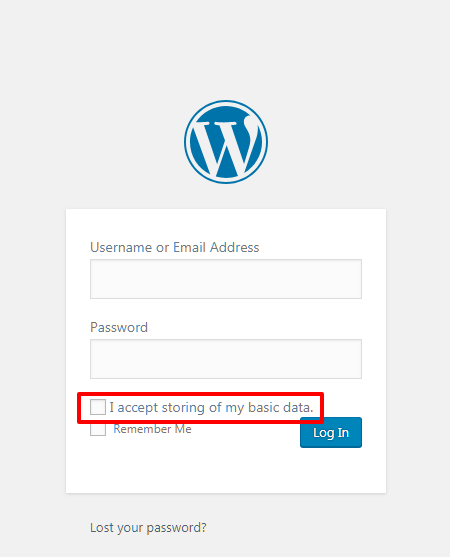 The data rectification request form will enable your visitors to send a request to correct their personal data stored on the WordPress website. Customize all the options as per your desire and display an eye-catching data rectification request form. The data forget request form will let your visitors send the request to erase/delete their personal data stored on the website. 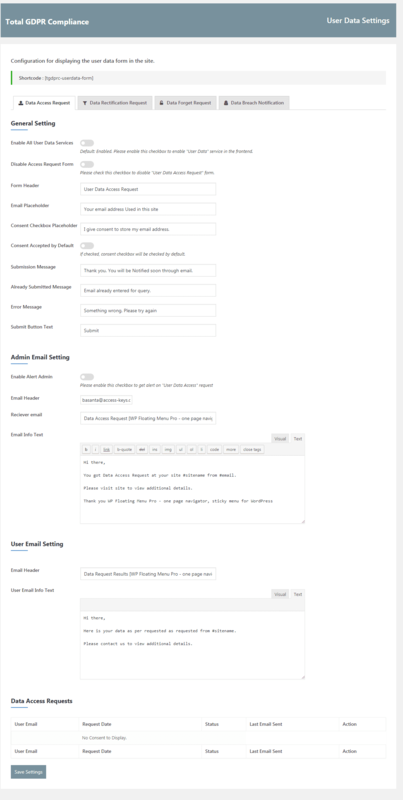 Configure all the option to display a stunning data forget request form on your website. The data breaching notification tab will allow you to notify your users if there is breaching their data. The notification is sent via email on their collected email addresses. This section will let you add the custom checkbox for making your user approve the storing of their personal data. 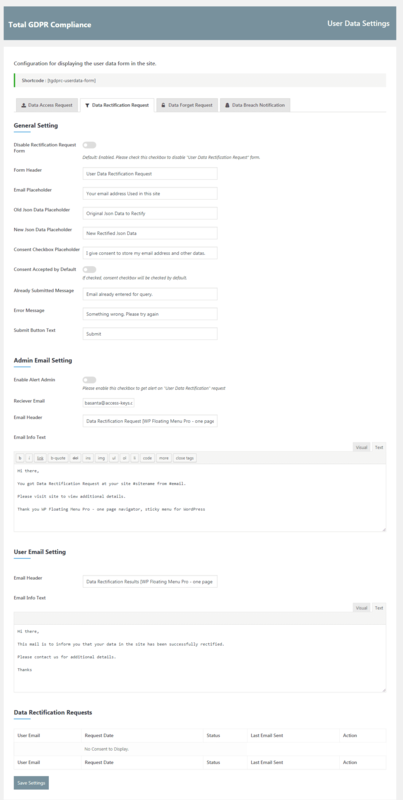 You can add these custom checkboxes on different inbuilt sections and the supported third-party plugins installed on your WordPress website. Currently, Total GDPR Compliance plugin supports 5 different fields to add consent checkbox i.e. 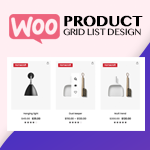 on WordPress Comment Section, WordPress Login Form, WordPress Register Form, Contact Form 7 and WooCommerce Section. After you are done the checkbox like the one below will show up on the field where you have enabled this option. The protected consents section will let you add the site contents that will be restricted to your users unless they allow you to store their personal data on the website. From here, you can display the list of services that your website uses to store the personal data. Add as many services as you want and display it elegantly to your audience. Since GDPR law has come into effect, many of the website owners are taking various steps make their website GDPR compliance. 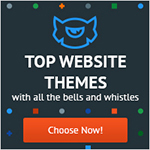 So, if you are one of the web owners but still haven’t made your website compatible with GDPR law then, you can do it right away by purchasing the above-mentioned plugin and following the tutorial. 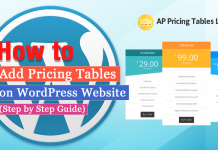 Next articleHow to add tags and categories in WordPress posts? Hey Buddy!, I found this information for you: "How to make your WordPress Website EU GDPR Compliance? (Step by Step Guide)". 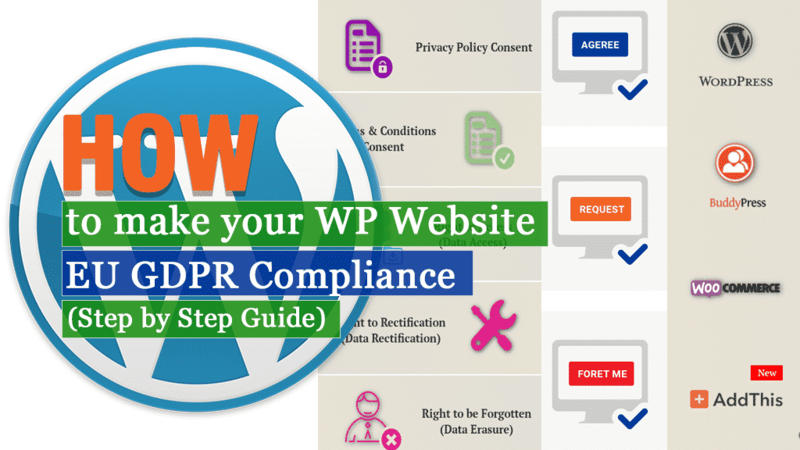 Here is the website link: https://wpallclub.com/how-to-make-your-wordpress-website-eu-gdpr-compliance/. Thank you.